As interior designers we are often designing for families and how they are going to use a space. It needs to work functionally and be aesthetic. 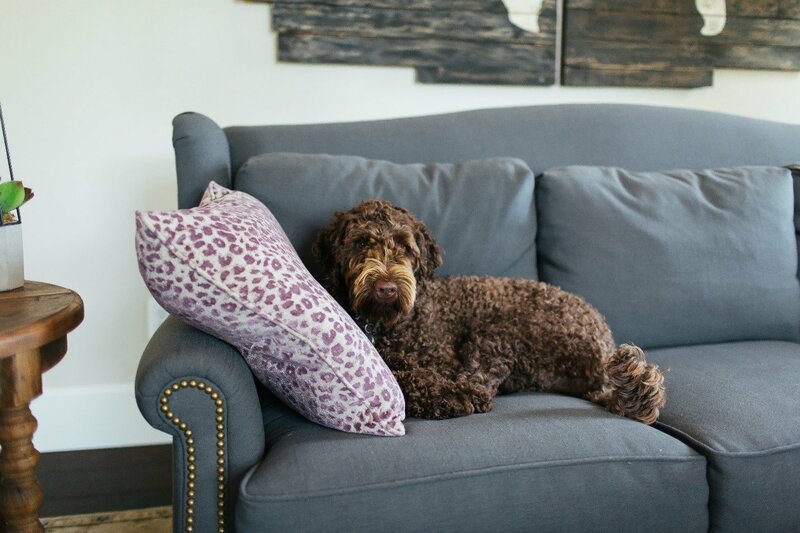 One of the questions we ask our clients is “do you have any pets?” Our 4-legged family members often change the decisions people make when making selections for furnishings for their home. 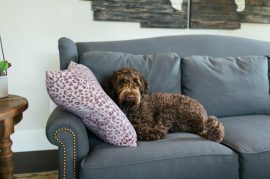 These “children” often take a toll on rugs, upholstery, chair feet, and sometimes table legs if you have that puppy that is trying to get through teething. Consider a synthetic rug which is easier to clean and maintain as opposed to a natural rug like wool or silk when you have pets. Look for high performance fabrics that are made to repel stains and are durable such as Crypton and Sunbrella. Also, consider the use of metal on tables and stone which can add an interesting dynamic to your space as well as suiting a need to protect your investment. The moral of the story: consider every person or pet living in your home as you put your plan together for a finished room.